Serving the Metro Detroit area for over 20 years I have witnessed great transformation as individuals and families have become renewed, refreshed, refocused, reconciled, restored and more. If you "Need to Talk" call me so that I can walk with you for a season of life providing compassionate care and concern. Your life can be enriched by healing past issues, equipped by applying truth filled principles to current life issues, and empowered by experiencing the abundant life to fulfill your purpose and Kingdom dreams. I believe that nothing is too hard, all things are possible, and you have a choice! Dr. Black has also served five continents providing victim services, crisis counseling and trauma training / intervention. She believes no one should suffer in silence. There is hope, help and healing available. Dr. Black is a professor and published author of numerous articles, books and workbooks including: Live Right Now." She is expert talent on several video-based training counseling projects: Domestic Violence, DivorceCare, GriefShare, and Single Parenting. An international speaker for conferences Sabrina's dynamic message of life's struggles, temptations and triumphs, challenges others to deal with real issues. She is a warm, witty, woman that connects. 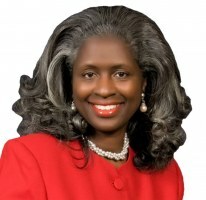 Dr Sabrina Black on the Harvest Show Ask the Dr.